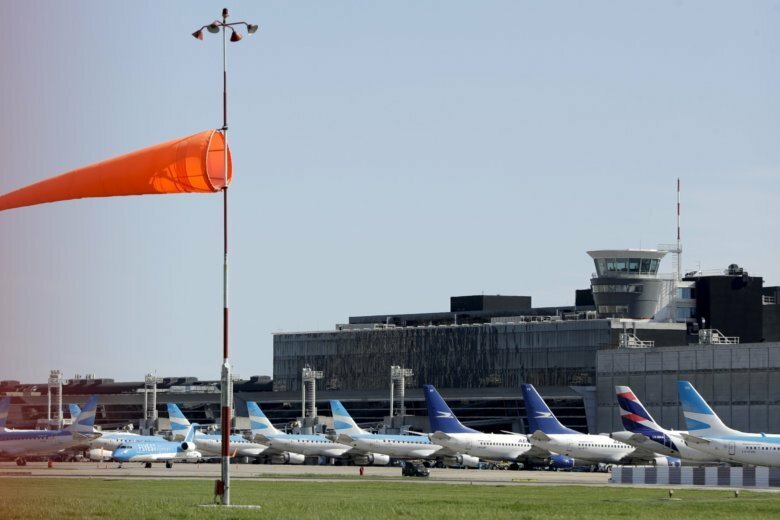 BUENOS AIRES, Argentina (AP) — Unions called a nationwide strike Tuesday to protest Argentina’s economic crisis, and walkouts grounded airline flights, paralyzed bus and train lines and forced the closure of the main agricultural port. Many workers stayed home as the strike made commuting a puzzle, and some demonstrators blocked highways. Banks, courts and many schools and shops didn’t open. Many hospitals offered only emergency services, most Argentine flights were canceled and garbage wasn’t picked up. The stoppage was led by labor unions protesting one of the world’s highest inflation rates and austerity measures ordered by President Mauricio Macri. They include the slashing of subsidies on utility rates, laying off state workers, and more recently putting new taxes on exports and eliminating several ministries. “We want to show our discontent in the streets,” said Katylin Balaguer, who said she was among more than 500 employees who were laid off last year after PepsiCo closed a plant on the outskirts of Buenos Aires. “Many of us are suffering, not just because we lost our jobs, but because we can’t find a new one,” she said surrounded by other flag-waving demonstrators at a bridge in the capital that was closely guarded by police officers in riot gear. Consumer prices are rising at an estimated 40 percent annually, and Argentines are growing increasingly frustrated over a more than 50 percent fall in the peso’s value this year. Many also oppose the government’s decision to strike a $50 billion financing deal with the International Monetary Fund because they blame the IMF’s policies for contributing to Argentina’s worst crisis in 2001, when millions were thrown into poverty. Macri came into office in 2015 promising that he would jumpstart Argentina’s economy and end poverty. Although his market-friendly reforms initially drew praise from investors, they have also hurt Argentina’s poor and fanned labor unrest in a country with a long tradition of state benefits.